There is only one voice and it is the voice of violence. 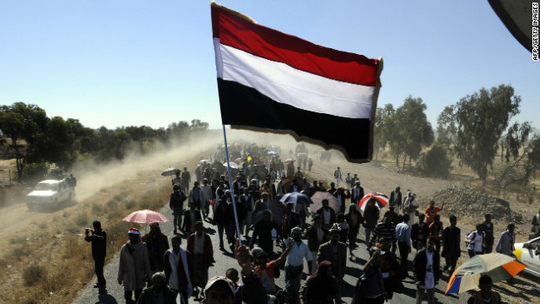 The Yemeni literary scene is replete with examples of fiction that accompany the tragic events Yemen is going through, principally the war, on the one hand, and on the other the desire for social and political change. This phenomenon is clear in many Yemeni fictional works, including novels by Wejdi Al-Ahdal and Nadia Al-Kawkabani, as well as the short stories of Huda Al-Attas, Arwa ‘Abd Uthman, Saleh Ba Amer, and others. Mohammed Al-Gharby Amran in particular is among those who have touched the heart of real life in Yemen, and whose voice has reached the wider Arabic nation. Mohammed Al-Gharby Amran’s most recent novel, The Revolutionary is a Hermaphrodite, was published by Dar As-Saqi in 2014. Prior to that, he had written two significant works, The Red Quran, published by Dar Riyadh Arreyis in 2010, and Yael or Yael’s Darkness.The former produced strong reactions, especially in Yemen, where the book was banned because of its bold ideas, and the latter received the Tayyeb Saleh Award in 2012. He has also written short story collections, including Bed Sheets (1997), published in Damascus by The Union of Arab Authors, and Black Minaret, published in 2004 by The Union of Yemeni Authors and Writers.